Steven Hansen has been actively involved in the futures and options industry for nearly 30 years. In 1982 Steven was introduced to a large agricultural trader who helped him obtain a position on the exchange floor which began his career at the Chicago Board of Trade. Steven is a Business/Marketing/Agri-Business graduate with a Bachelor’s of Science degree from Columbia College of Missouri. With the rapid advancement of technology and the implementation of electronic trading, Steven sees the importance of using managed futures as a key tool in portfolio diversification. At Foremost, he specializes in creating managed futures portfolios to fit the client’s risk tolerance. Steven prides himself on the lasting relationships he has created with his clients. Some of which have been for many decades. While learning the complexities of the futures and options business he worked with both retail and commercial clients for a large agricultural and livestock firm in the industry. Prior to coming to Foremost, LLC, Steven worked for a major Wall Street firm in their Chicago futures division. He managed a specialty execution operation for Foreign Introducing Brokers and Foreign Commercial Base Metals firms. Prior to that, he registered as a broker providing market analysis, execution and customer service. In his free time, he enjoys spending time with his two children Steven and Christie. Outside of the office, Steve enjoys engaging in politics, meteorology, sports, and nutrition. 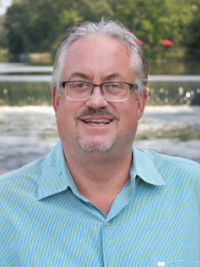 Steve has a lot of experience in the industry and has worked in all facets including wholesale execution of trades, risk, back office, and sales.